Penguin of the Day: Danteythebea! Here is yet another Penguin of the Day. Today's is Danteythebea! Happy Halloween everyone! 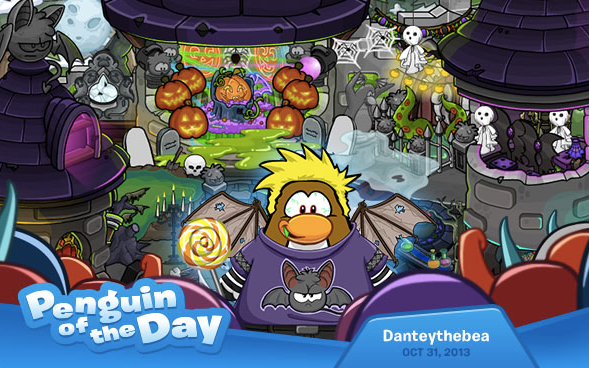 In true spooky spirit, Danteythebea’s igloo is decorated in a terrifically terrifying way… loving the slime and tentacles. Don’t forget to share your SWEETs with everyone! Mwahaha! 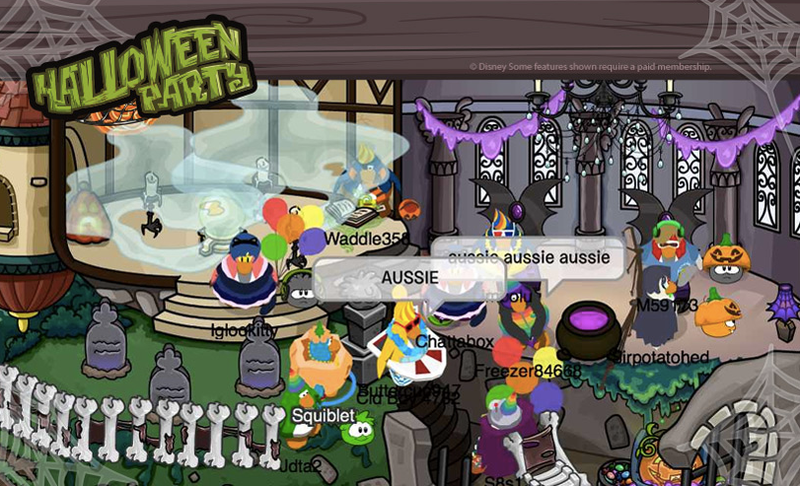 Along with a thousand other penguin's who's iggy is in the Halloween spirit! HAHA! Happy Halloween everyone! I wanna know what you're dressing up for this year! 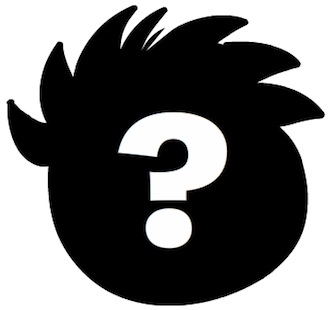 So apparently a new puffle species is coming this month to Club Penguin! 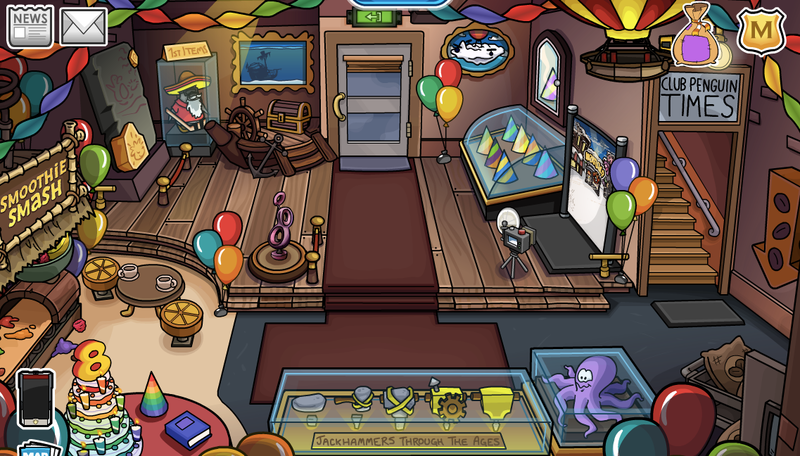 That is all CP can tell us now but more info will be coming soon! Penguin of the Day: Bigpengui! 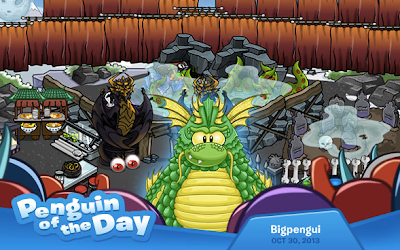 Bigpengui, the dragon, really has the best time on Club Penguin! 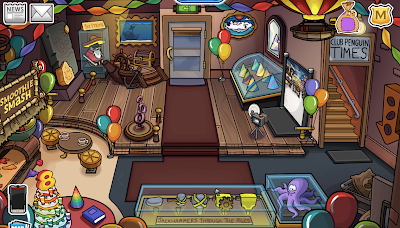 Whether they're playing in band at the Lighthouse, surfing at The Cove or decorating their igloo for special occasions they are always having epic fun! If you have a cool buddy that you think should be the Penguin of the Day let Club Penguin know! 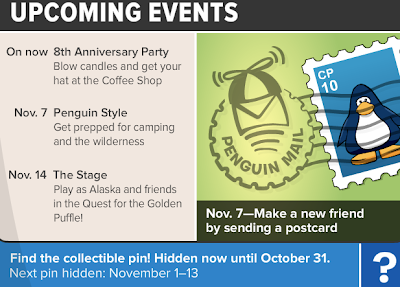 What's New in November 2013! 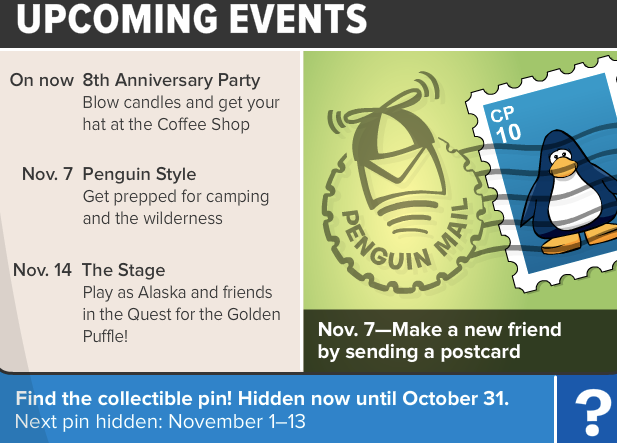 So October is just about over and that means November will be bringing LOTS of new exciting thing to the Club Penguin island! Check out this odd sneak peek! Oooo, ahhh... I don't get it. Haha! Any guesses of what these pictures are!? Here is another episode of #Waddle on! Take a look! Ahhh! Not the pookies! No! NO! NOOO! Penguin of the Day: 44joey45! 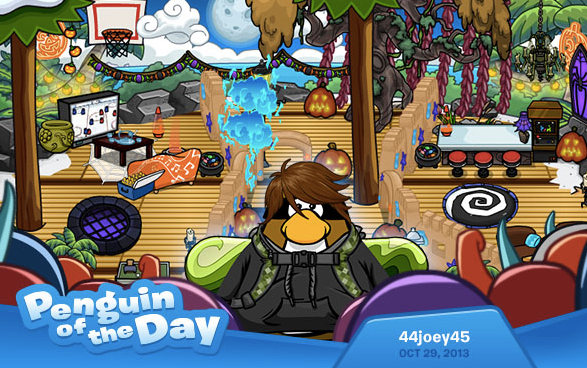 44joey45 has been playing Club Penguin a reeeeally long time, even longer than me! Although he’s been playing since 2008, he is still a dedicated player and NINJA. 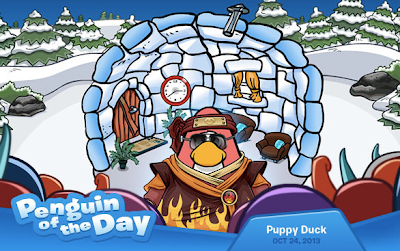 He’s always keen to decorate his igloo in a really awesome way too! Keep the nominations coming for the POTD! Come Trick or Treating with Chattabox! 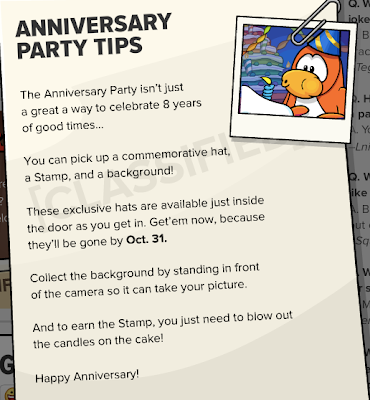 A post from Club Penguin! It was great seeing you all last Thursday - check out the picture below of you guys partying in my iggy! 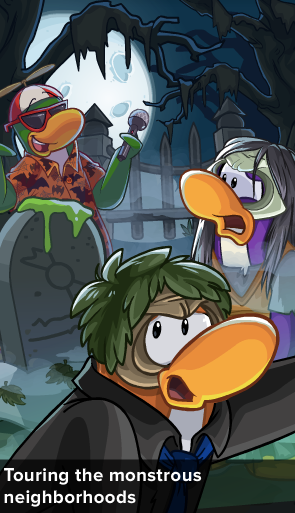 All of your Halloween costumes were totally awesome, there are a few scary Penguins out there! I had so much fun in all the spooky Halloween igloos, that this Thursday I've decided I'm going to go trick or treating.. Who's with me? Lets all meet on server Blizzard on Thursday at 4pm (Australian Eastern Standard Time/or 6pm NZ time). If you would like us to visit your igloo, write your name in the comments below and tell us why we should come and check out your Halloween igloo – remember to make sure you have the trick or treat candy pumpkin so we can all collect our candy. See you Thursday flippered friends. Attend a Mad Scientist Convention with Gary! Gary is going to a Mad Scientist Convention and he wants you to be there! Put on your best MAD SCIENTIST costume and meet Gary inside the University on Tuesday October 29th at 4 PM Penguin Standard Time (they'll let us know the server by 3:30). Month in Review: October 2013! 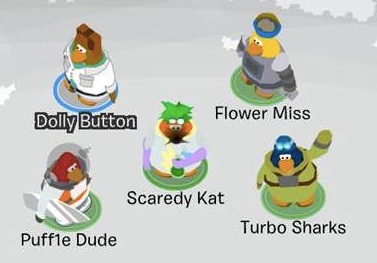 In the last Club Penguin Reviewed by You they asked: "What's your favorite season (winter, spring, summer, or autumn) and why?" "My favorite season is winter because its by Christmas and pretty close to Halloween! 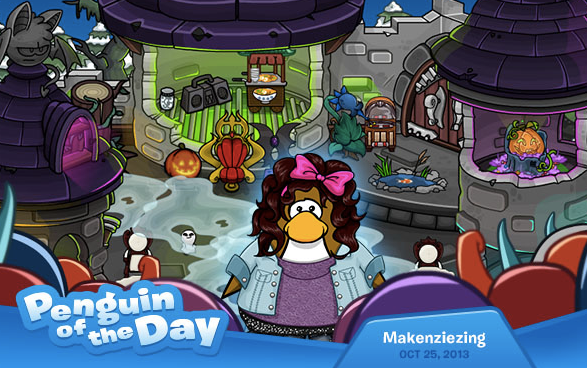 The parties Club Penguin throw are amazing and I can't wait to go trick or treating!" 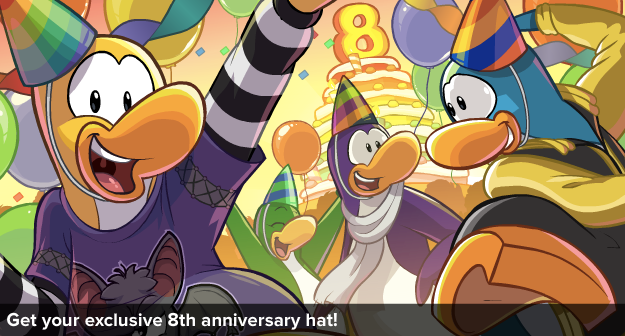 Now it's time to look back on what happened in October on Club Penguin! What were your favorite parts of October, and what would you like to see in the future? Penguin of the Day: Duducio! 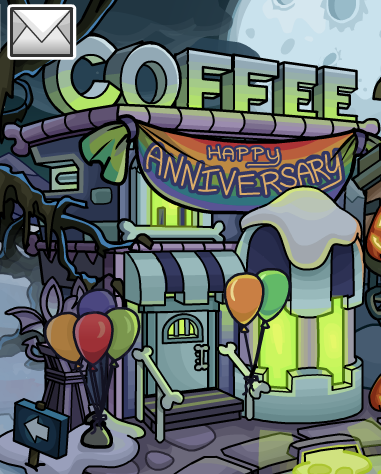 Club Penguin ft. Jordan Fisher: It's Your Birthday Music Video! Here's what we've all been waiting for! It's Your Birthday music video! Take a look! Pretty catchy! What do you think!? Penguin of the Day: Makenziezing! Makenziezing has done a really amazing deed and participated in a sponsored walk raising money for charity! Hats off to her for making a difference in the world. Stories like this truly inspire me! Penguin of the Day: Puppy Duck! Homes of the dark and creepy! Club Penguin 8th Anniversary Party! Everyone head on down to the Coffee Shop for Club Penguin's EIGHTH Birthday! 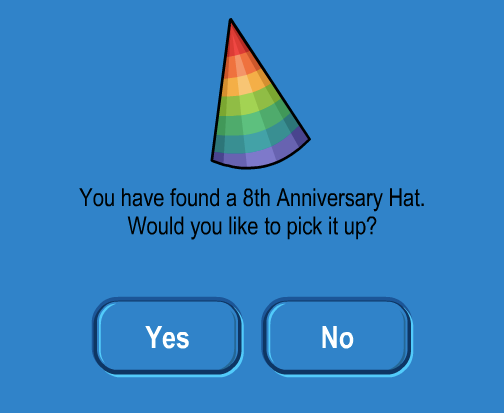 Click the party hat on the table to get your own RAINBOW party hat! 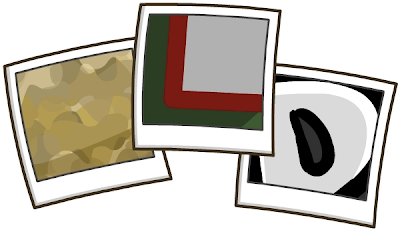 And click the camera for a FREE new background! And be sure you check out this years Club Penguin Yearbook! Those were some good times. I love looking back at all of them! What brings back the greatest memories? Why? Birthday Music Video: Get Involved! Penguin of the Day: Flashwing02! Guest Blog: Kid President and Socktober! Penguin of the Day: Ansh2007! 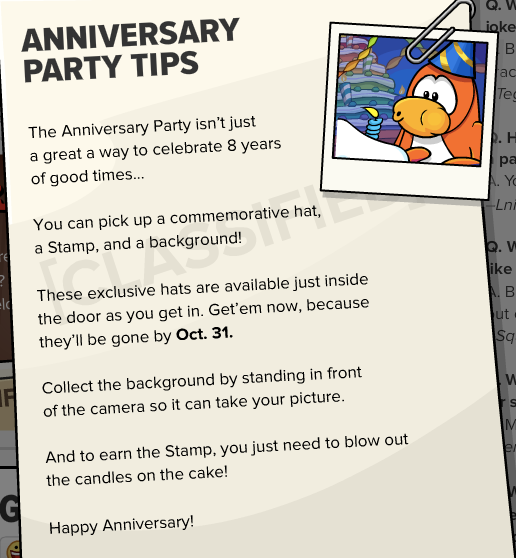 Club Penguin Anniversary Special Announcement! Penguin of the Day: Bestpopstar2! Penguin of the Day: Fottymaddy! 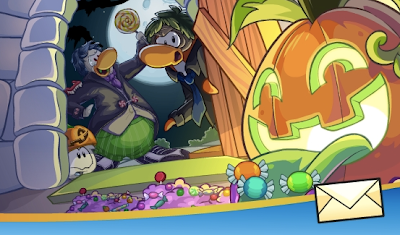 Club Penguin UK Halloween Party: Official Video! 2013: Club Penguin Halloween Party! Club Penguin Pin Cheat - TOMBSTONE PIN! ZOMG ZOMBIE PENGUINS: Official Video! Penguin of the Day: Donna Jo 45! Penguin of the Day: Kb1212! Penguin of the Day: Abhi20! The Stage: Night of the Living Sled! 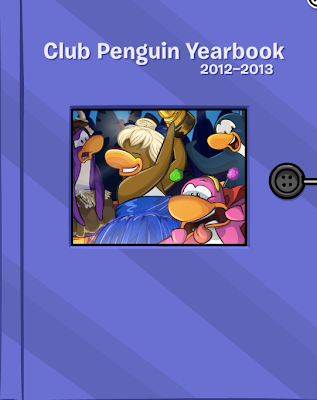 Club Penguin Times #416 ! Club Penguin Video: Halloween Party Trailer! Penguin of the Day: Emma34104! Penguin of the Day: Purpur5675! 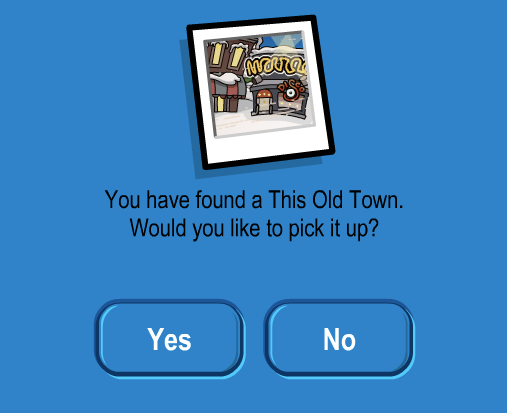 My Day In Club Penguin: Tundrafluff! Best of #WaddleOn Season 1! Penguin of the Day: Landylolo! Penguin of the Day: Violet Cute! Club Penguin Pin Cheat - PRANK FANGS PIN! 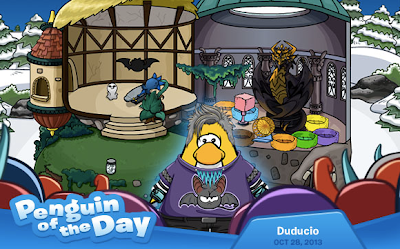 Clothing Catalog Cheats: October 2013! 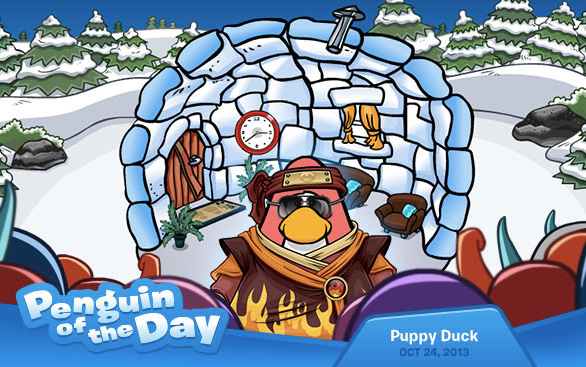 Furniture Catalog Cheats: October 2013! Penguin of the Day: Fresh1403! Blacksmith Force vs. Goldsmith Force! Penguin of the Day: Angelikaya!